The foreign ministers of Bahrain and China have signed a memorandum of understanding (MoU) to jointly advance the construction of the Belt and Road project. The two sides would continue to firmly support each other on issues concerning each others' core interests and promote pragmatic cooperation across the board under the Belt and Road framework, Xinhua news agency quoted Chinese State Councilor and Foreign Minister Wang Yi as saying. 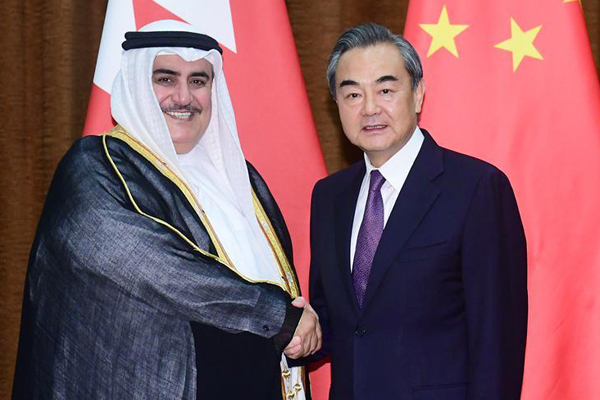 Bahrain highly applauds and supports the Belt and Road Initiative and stands ready to strengthen all-round cooperation with China and boost bilateral ties, said Foreign Minister Shaikh Khalid bin Ahmed Al Khalifa. Shaikh Khalid is attending the opening ceremony of the eighth ministerial meeting of China-Arab States Cooperation Forum in Beijing.